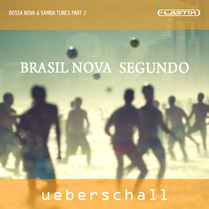 Two reviews for the price of one here; Ueberschall’s Brasil Nova Primeiro and Brasil Nova Segundo are two separate products but, as suggested by their titles, are closely related, covering the same music genre and being presented in identical formats for their Elastik front-end. No prizes for guessing that we are dealing with Brasilian-inspired Bossa Nova and Samba material here and, in each case, you get 10 complete construction kits, 2GB of samples and around 1000 individual samples. All the construction kits feature multiple musical sections including both intros and outros. Building complete musical arrangements is therefore very straightforward. The key difference between the two libraries is tempo; the Primeiro collection is focused on low- and mid-tempo (60 to 114 bpm) pieces while Segundo gives us mid- to high-tempos (107 to 145 bpm). The moods also reflect this; laid-back and mellow in the Primeiro tunes and more high-energy in Segundo. What’s really obvious is the very genuine Brasilian vibe. These loops feel like authentic performances and, in particular, the drum and percussion parts (all of which are supplied both pre-mixed and as separate loops for each part of the kit) feel very real. The instrumentation is also spot on with some rhythmic piano playing, atmospheric nylon-strung acoustic guitars and classic organ lines. In addition, most of the kits also include vocal samples. These also sound very genuine and, throughout, you get a very warm glow of ‘the real thing’, whether it is from the mellow Primeiro or the more energetic Segundo. For busy media composers looking for a genuine slice of Bossa Nova or Samba to dip into, I’m sure both Brasil Nova Primeiro and Brasil Nova Segundo would represent a very good resource. In some ways, in terms of modern, mainstream, musical production — electronic dance music, pop and rock — both of these libraries are perhaps niche products. However, Latin America’s musical influence (along with the use of Spanish) has spread far and wide and, even if you just apply a few rhythms or the occasional guitar part from these sample collections into a more western musical context, in the right context, it can add a real flavour of Latin America. Perhaps not libraries for the masses, but both Brasil Nova Primeiro and Brasil Nova Segundo catch a genuine sense of Bossa Nova or Samba for those that need it in a ready-to-mix format.